When you give monthly to Westside Housing Organization, you help us ensure the continuity and growth of the quality, affordable services we offer Kansas City residents! ADVOCATE for diverse, sustainable and healthy urban neighborhoods in Kansas City. Yes! I will support Westside Housing as a Monthly Sustainer! Every month when you give, you sustain the work we do to preserve Kansas City’s historic neighborhoods, keeping them diverse and sustainable. Thank you for encouraging us. 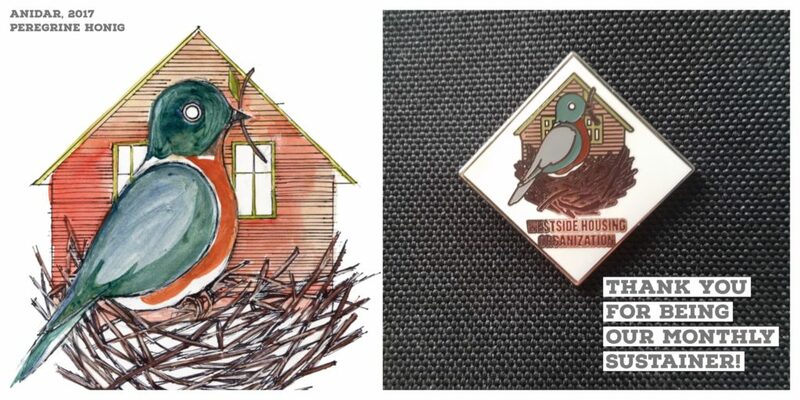 Only Monthly Sustainers of Westside Housing receive a limited-edition lapel pin, created especially for you by Kansas City artist and donor, Peregrine Honig. Rendered from her Westside Housing Organization-inspired painting, Anidar, Ms. Honig and Westside Housing Organization offer this cloisonné lapel-pin as a token of our gratitude for helping us preserve historic and diverse neighborhoods. Email Resource Development with delivery details: creames@westsidehousing.org or Call 816-282-6719. 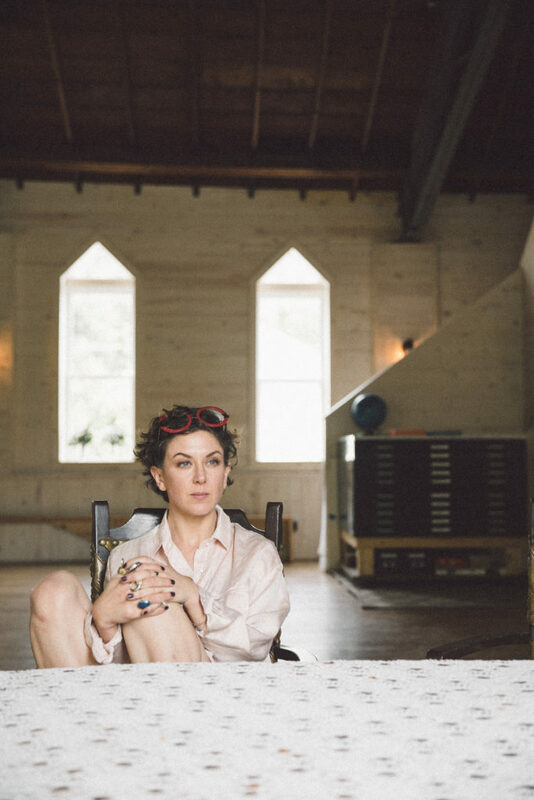 A resident of Westside neighborhood, Peregrine Honig is an international artist and curator. She has lived in and developed historic spaces between the West Bottoms and the Westside of Kansas City, MO for over twenty years. Her most recent project, Greenwood Social Hall founded in February, 2017, has already drawn national attention to a newly renovated Baptist Church on 17th and Belleview.